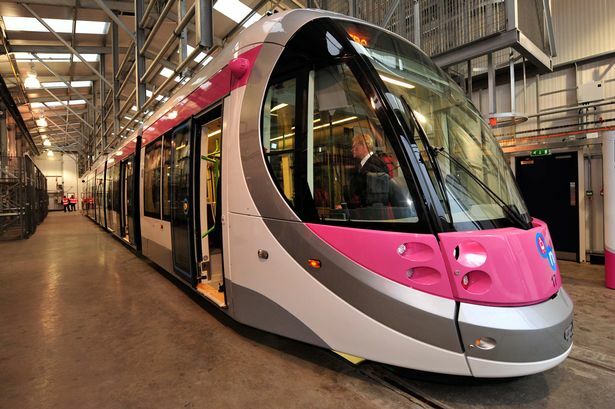 The chief executive of Balfour Beatty, the listed construction group leading the Midland Metro extension in Birmingham city centre, has stepped down following a profit warning. The move by Andrew McNaughton follows disclosure of a £30 million shortfall in the group&apos;s UK construction arm. It also announced today pre-tax profits for 2014 were expected to be "significantly lower" than previously estimated, in the range of £145 million to £160 million. Balfour Beatty previously won a £16 million contract to refurbish a series of platforms at New Street and is lead contractor for the extension the Midland Metro tram from Snow Hill to Stephenson Street. It is also among circa 60 businesses which make up a steering group for a bid by Birmingham to bring a HS2 college to the city which would train the next generation of railway engineers . Mr McNaughton has stepped down as chief executive with immediate effect with Steve Marshall taking over as executive chairman until a successor is appointed. Shares in the FTSE 250 group lost a fifth of their value following the news, by 56.4p to 229.4p. Mr Marshall said: "Andrew has served the group for the last 17 years in a wide variety of roles. "I would like to thank Andrew personally and on behalf of the board for his major contribution. We wish him well for the future."